An 100th birthday is a miraculous milestone that not everyone gets to experience. Celebrating a 100th birthday is a major milestone in one’s life. 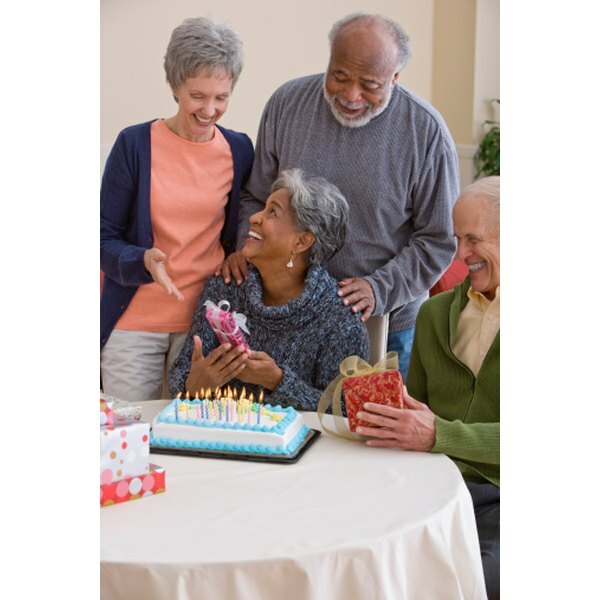 There are many unique gift ideas that can make the gift recipient appreciate the gift and help them remember and celebrate a life full of memories. Giving a Day You Were Born Newspaper makes a sentimental and memorable gift for a 100th birthday celebration. This gift will give the recipient the opportunity to see what kinds of things happened on the day they were born. Put the newspaper in a protective case or frame for them and wrap a ribbon or bow around it. A poem that expresses how you feel about the 100-year-old gift recipient will express sentiment and the depth of love that you feel for them. Have the poem printed on beautiful paper or with a picture in the background such as a sunset, ocean waves or flowers. Personalize the poem by adding their name and a few unique things about them. Have the poem framed and wrapped to present it to the recipient. A gift trivia booklet is a unique way to allow the 100th birthday person to remember the times when they were young. The booklet can be filled with movies that came out in their time as well as the music that was popular, the prices of different things and memories that will bring them back in time. This booklet may help them remember some things as well as bring a smile to their face. Preparing this gift by hand will show thoughtfulness and how much preparation you put into the gift. Shaleah Patterson has been writing since 2001. Whether it was non-fiction novels in composition notebooks or poems, songs and newspaper articles, Shaleah has always had a passion for writing. Patterson's work has appeared in various online publications. She has attended Dutchess Community College, and is currently attending Jefferson Community College.